Enjoy this 1974 sq. ft. country home on 4.7 acres. Through the front door you will find a large living & dining area with an additional space for a formal dining room, office or den all with updated tile floors. This home features three large bedrooms with 2 good size bathrooms. French doors open up to beautiful fenced backyard with a pool and covered patio perfect for those warm summer days. An additional half bath off the laundry room is perfect for the swimmers in the family. In addition, there is a new roof, a gated circle drive, an excellent well with a new motor, 5 car carport, a garage and storage area, fruit trees and fenced property. 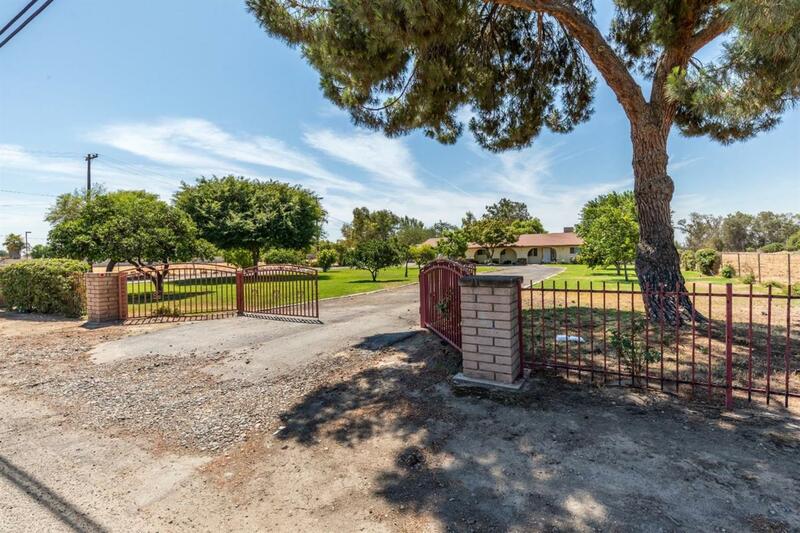 Enjoy the country living with close proximity to freeways. Schedule your appointment today! Listing provided courtesy of Kim H Mcmanaman of Modern Broker, Inc..